Every author has the right to protect the expression of its original works. COSTA RICA grants copyright protection to all artistic, scientific or literary creation which is an original work of authorship, from the moment it is fixed in any tangible medium of expression. Protection is granted regardless the work is actually registered before the Registry of Intellectual Property of Costa Rica. However, TRADEMARES recommends the registry of the author´s work to establish a date attested and content of the work, as copyright avoids claims by bad faith third parties. Also, COSTA RICA recognizes the protection of the so-called “Related Rights” of performer artists and musicians, producers and diffusion agencies. Copyright is recognized to all artistic, scientific or literary creation which is an original work of authorship, from the moment it is fixed in any tangible medium of expression. 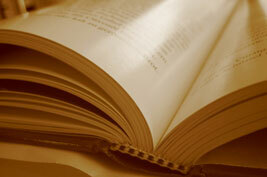 Copyright covers the author´s moral and economic rights. The moral rights are considered inalienable and not transferable. Moral rights include the right to have one’s name associated with one’s work and the right to protect one’s work from mutilation or distortion. The economic rights encompass the economic control of work of authorship, under the legal principle that all the rights belong to the author, except those that are specifically determined to be transferred or negotiated. Author´s (s) name with its complete conditions. In its case, indicate if it is a collective work or in collaboration. Title of the work intended to be registered. Indicate if the work is unpublished or published and enclose a copy of the work. If the work is unpublished the copy shall be signed by the author and duly authenticated by a Notary Public. If it is a literary work it shall be printed without amendments, scratches, nor spaces between the lines and shall be binded in stiff covers. If the work is published the copy shall contain ISBN (International Standard Book Number) designated by the National Library. Seven copies of the work shall be deposited in Universidad Nacional, Universidad de Costa Rica, UNED, Instituto Tecnológico de Costa Rica, Costa Rican Congress, National Library, Head Office of the National Archive. The deposit receipts issued by these institutions shall be attached. The applicant shall grant a POA in favor of TRADEMARES and its lawyers. The POA shall solely have the grantor´s signature duly authenticated, not being necessary its legalization. If the application is filed by an editor, printer, translator or any other person different that the author, it is necessary to file evidence regarding the acquisition of the right (assignment of patrimonial rights, labor relation or rendering of services). Aside from the general requirements, the Law establishes a series of specific requirements according to the type of work which is intended to be registered. Unique artistic work (for example, painting, bust, portrait, drawing): submit a relation of its distinctiveness and a front and profile picture. Computer programs: submit a copy of the source program (magnetic or optic support). Indicate that you want to protect a PROGRAM, give a description of the program and modules. Name the used software and present proof of use of license for the development of the work. Submit a copy of the screen design or figures with the navigation description, the technical documentation and user manual. Data Base: indicate that you want to protect a Data Base. Submit a description of the work, indicate the software used and provide proof of use of license. Attach the structures which comprise it, as well as a brief description of them. Cinematographic work: indicate the name and legal conditions of the screenwriter, composer, director and producer. Present a detailed description of the script, dialogues, settings, the movie´s footage and pictures of the main scenes or copy of the work in a magnetic support. Phonographs: indicate the name and complete legal conditions of the artists, singers, musicians and producer. Indicate which right corresponds to each and the edition year. TRADEMARE´S rate policy responds to the transparency principles and strict execution of the agreed budget. Our rate is of $250.00, amount which includes all the governmental expenses and rates (registration and publication) which are part of the process. There are no additional costs for the File´s updating reports, formalities in relation to the publication phase, nor to secure the original copyright certificate. The copyright´s registration is handled before the National Registry of Copyright and Related Rights according to the requirements, rates and procedures established by Law 6683 of Copyright and Related Rights. The Law establishes a simple procedure of reception of the work. In 8-days term, the Registry shall prevent any defects of the application and issue the copyright certificate. In the event the work is a published work, the Registry issues a publication notice, which has to be published once in La Gaceta, Official Newspaper. This publication opens a 30 calendar day tem for public opposition. If no opposition is raised, it proceeds to register the work. Moral rights do not have term of expiration. Economic rights are protected in Costa Rica during all the author´s life and after its death for a term of 70 years. Afterward, the works become part of the public domain, being able to be used freely but always respecting the right to have author’s name associated with its work. a) the end of the civil year of the first work’s authorized publication. b) the end of the civil year of any other first start-up of the work at the public´s disposal with the author´s consent. c) the end of the civil year of its creation.